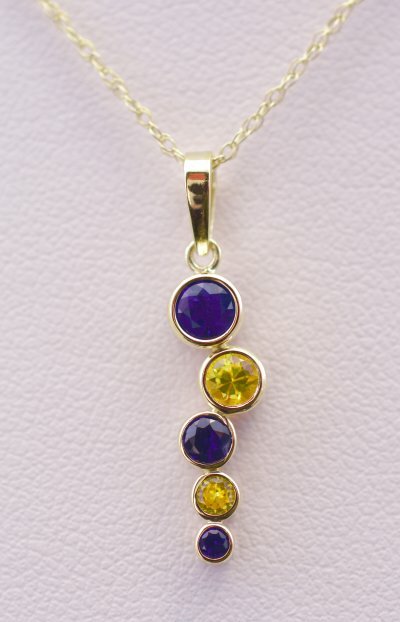 University of Michigan is just 1 of several schools that would enjoy this beautiful blue and yellow design. 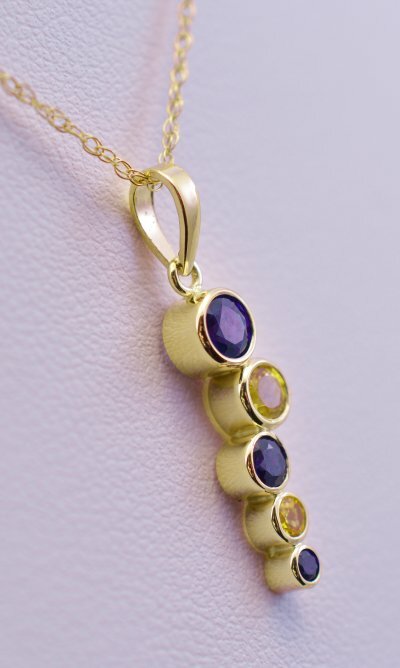 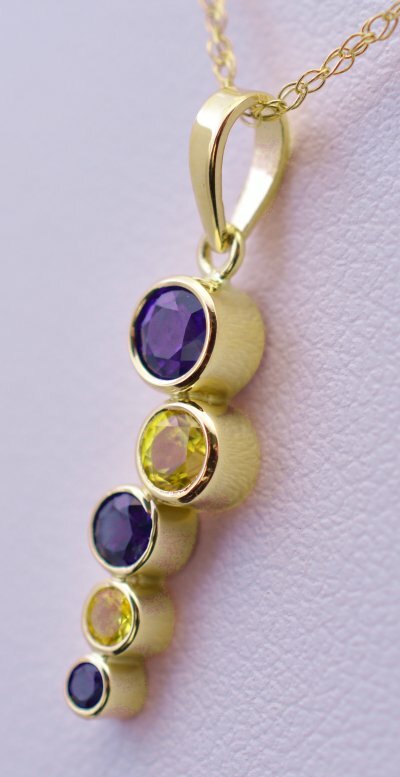 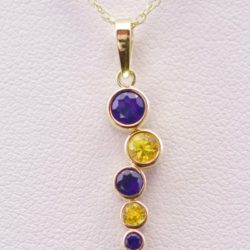 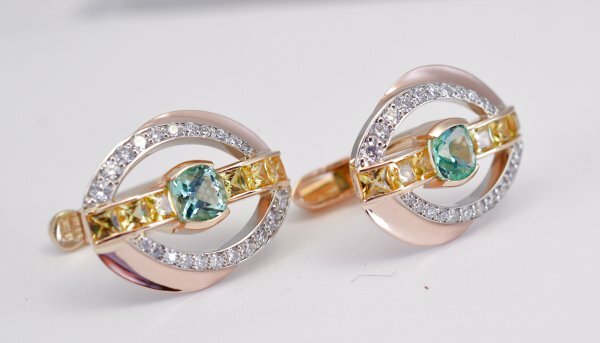 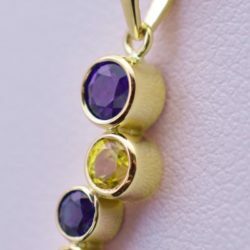 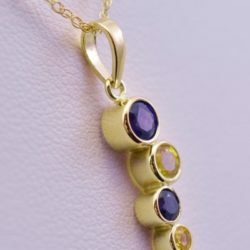 This small Maize & Blue Bubbles pendant features 3 rich blue diamond cut round sapphires (.75 ct tw) and 2 round intense bright yellow diamond cut sapphires (.45 ct tw) set in 14k yellow gold. 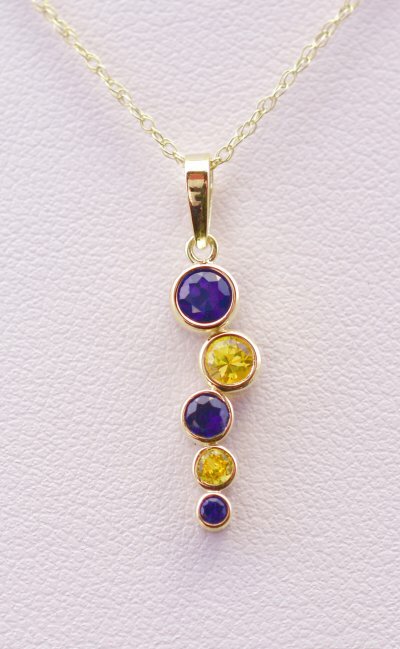 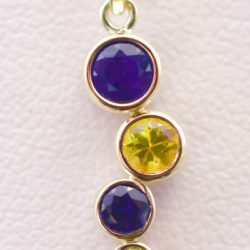 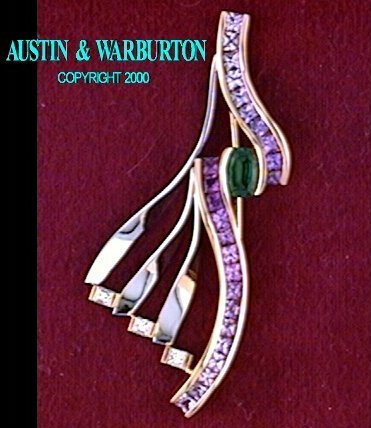 The precise cutting of these beautiful sapphires allows the color to burst into the room The pendant hangs on an original design wire bail, a trademark of designer Brenda Warburton.